Right-o. It’s a big new compilation. From the peeps who bring you the likes of ‘The Annual’ and ‘Clubbers Guide To Spring’ comes the latest and arguably greatest in their acclaimed ‘Sessions’ series. 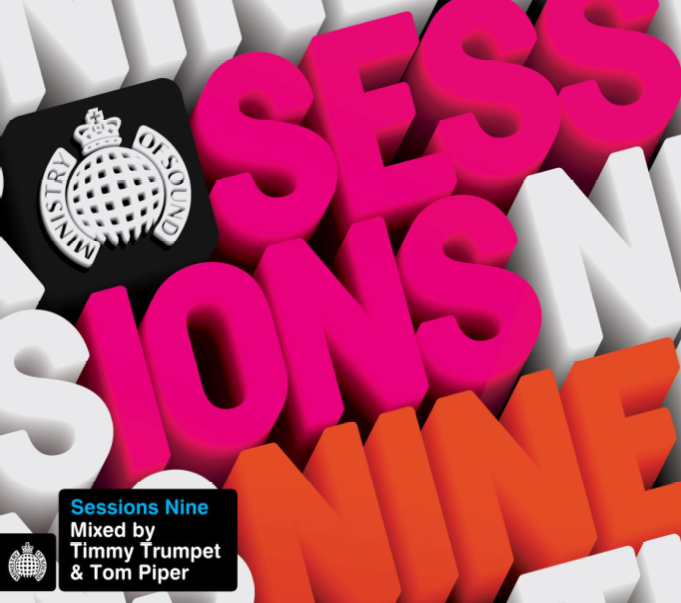 Volume nine has been helmed by the amazing Tom Piper and Timmy Trumpet, who combine their talents to bring you two discs of non-stop thumping club anthems from the likes of Richard Vission, Tonite Only, Afrojack, Pnau, M83, Alex Gaudino, Martin Solveig, Laidback Luke, Knife Party, Tommy Trash, Miike Snow, Adrian Lux, The Presets and many more. Andrew from Greystanes in New South Wales, Michael from Southbank in Victoria and Doug from Rochedale South in Queensland. Congratulations gentlespoons! A copy of the new Ministry compile ‘Sessions Nine’ will be rocketing its way to your place shortly. Thanks to everyone who entered and to Ministry Of Sound for the booty. Yay! I won something!! Thanks auspOp! !